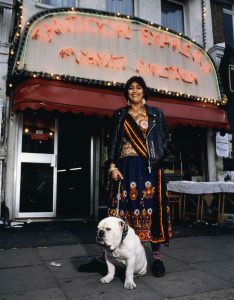 This unique look at Asians in Britain offers first-hand views of second generation Asians, adding archival footage and invigorating Bhangra and Bangla music--traditional Punjabi songs updated with hip-hop and house music influences. From Manchester rooftops to embattled Belfast and the Welsh hills, Asians discuss the importance of expanding "Britishness" to include all kinds of cultural identities. They present different view-points on the roles that race and cultural identity play in their own lives and in British society as a whole. "I made the film because I wanted to document a very important period in my life. The evolution of British Bhangra and Bangla music marks the beginning of the end of British national chauvinism for those of us who have been born and brought up here. It has helped us define ourselves as a displaced community with a musical language of our own, created for us, but open for enjoyment for all. We cannot be fully British until the idea of British acknowledges redefinition from other cultures. Only then will it be fit for ours and other Black use. Until then we live in Britain but belong to the diaspora."